Dr. Paul Lemen joined the Department of Obstetrics and Gynecology at the Medical College of Wisconsin in February 2002. He received his medical degree from Wayne State University in 1993. Dr. Lemen completed his residency at the Medical College of Wisconsin Affiliated Hospitals in 1997. He practiced in Southeastern Michigan for several years before joining the MCW faculty in 2002. He is Board Certified by the American Board of Obstetrics and Gynecology and is a Fellow of the American College of Obstetricians and Gynecologists. Dr. Lemen’s clinical interests include normal and complicated pregnancy care, benign gynecology, contraception, colposcopy and preventive health care for women. His practice includes benign gynecologic surgery including hysterectomy, ovarian procedures, laparoscopy and hysteroscopy. He has been acknowledged as one of the Best Doctors in America and one of the top doctors in patient satisfaction at Froedtert Hospital on multiple occasions. In addition to his active clinical practice, Dr. Lemen extensively participates in the education and training for medical students and residents. He is the Program Director of the Obstetrics and Gynecology Residency Program at the Medical College of Wisconsin Affiliated Hospitals, responsible for coordinating the education and training of these future practitioners. He is actively involved in the clinical training, advising and mentoring of medical students at the Medical College. 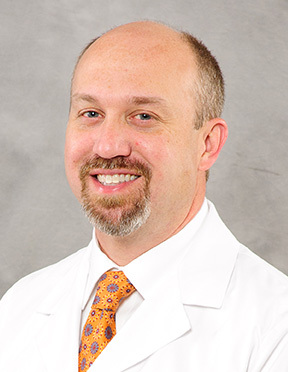 Dr. Lemen also currently serves on the Graduate Medical Education Council and the Residents as Educators committee at the Medical College and has served on numerous college committees in the past. Dr. Lemen has published articles involving screening for gestational diabetes in adolescents and other subjects. He has received numerous awards. He received the Medical College of Wisconsin Outstanding Medical Student Educator award in 2008. He has been voted Best Doctors® since 2009. Dr. Lemen has been inducted into MCW’s Society of Teaching Scholars in 2015 in recognition of teaching excellence and outstanding contributions as educational scholars and educational leaders. Excellent care from all my nurses but Sue was outstanding and I love my obgyn Dr. Lemen and his team are the best. Thank you to Dr. Paul Lemen for helping me bring my beautiful daughter into this world. He will always hold a special place in my heart. Very happy with experience and care provided by Dr. Lemen. Despite long wait time, he did not seem rushed in our visit and was patient and thoughtful in answering questions and addressing any concerns. Very happy with my choice to see Dr. Lemen for my first pregnancy. Dr. Paul Lemen went above and beyond my expectations on both visits. I immediately felt at ease within minutes. He took an incredible amount of time addressing my questions and concerns well above what is expected of doctors. Even when running late, he never felt rushed, or made me feel rushed in the appointment. His bedside manner is greatly appreciated – it goes a long way and makes for a great foundation of patient care.